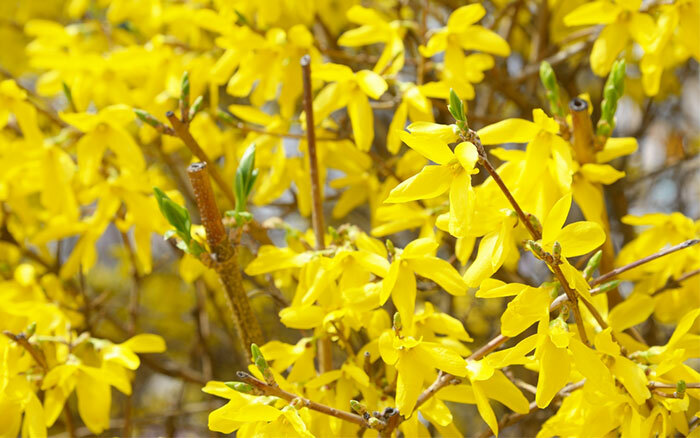 Forsythia is the first deciduous flowering shrubs to bloom in the spring. Forsythia likes full sun but will usually take well to some shade. 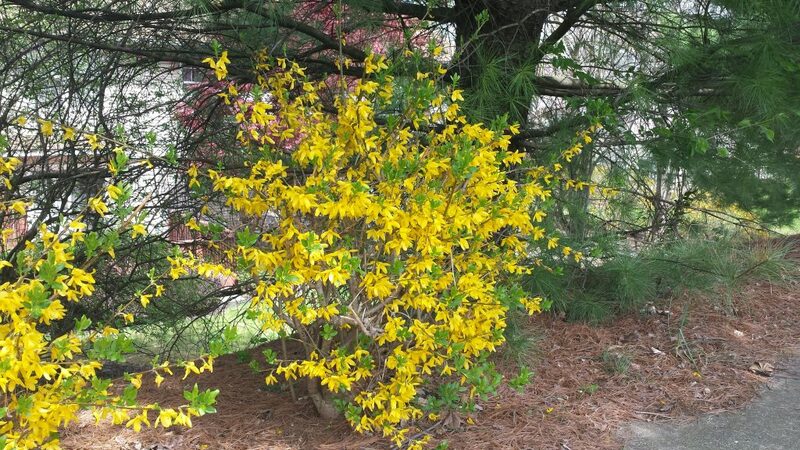 It is commonly used in groups as a screen or in naturalized areas; so it is easy to let forsythia grow and be unkempt because of its fast growth rate For this reason, most people view the forsythia as a wildly looking shrub that only looks nice for a short time during its early spring blooms. 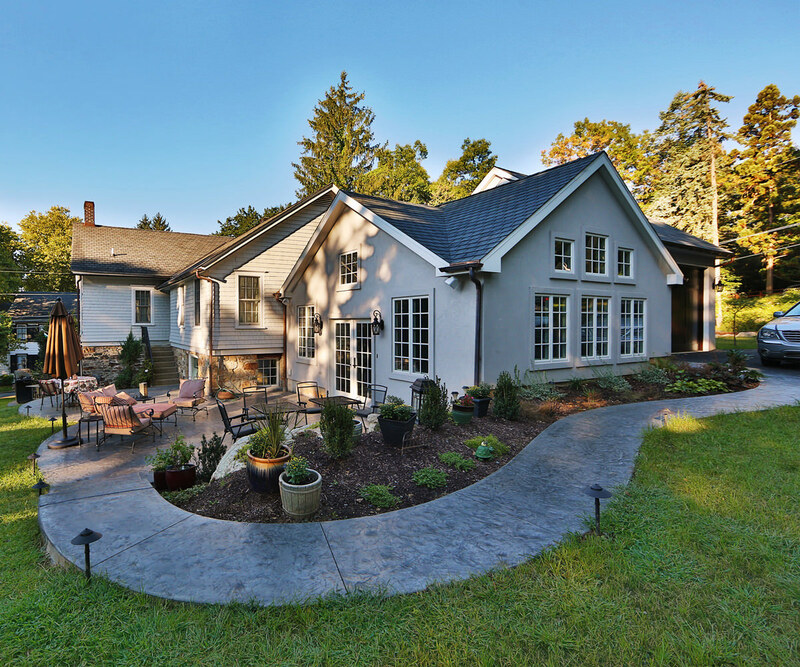 However, the forsythia can be a wonderful plant to use in the landscape design, along walkways or driveways, if maintained properly. There are several varieties of hybrids available in our area. 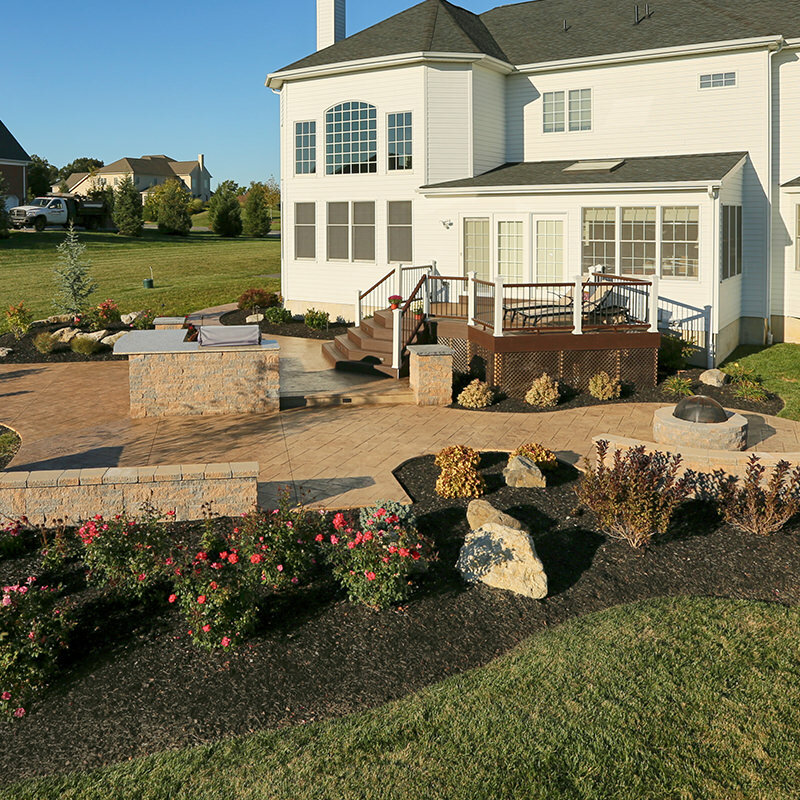 These varieties have certain characteristics that make them better for a specific site in the landscape. Some varieties grow small and slow enough that they can be incorporated into a planting bed to compliment spring bulbs and then used as a foundation plant. 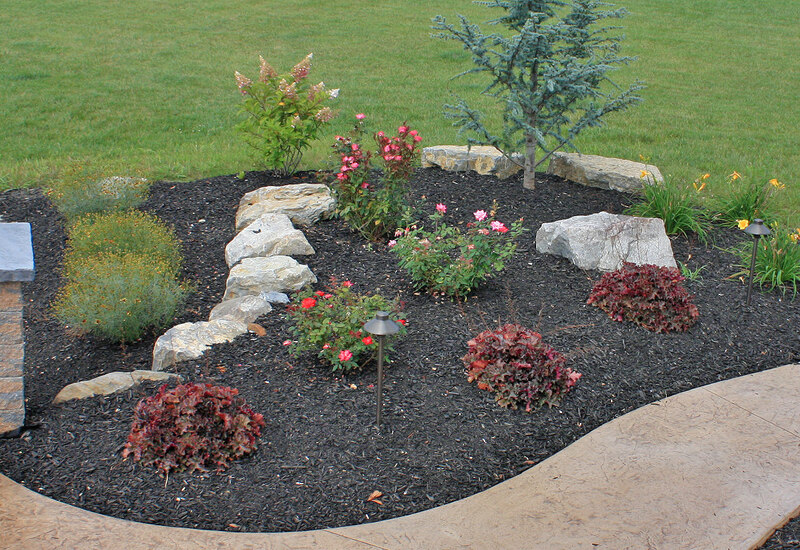 Some can be used as a spring accent where other colors can take over once the blooms are done. Larger varieties should be used as screens accompanied by evergreens or on woodland edges where they can be left alone. Below are some common varieties available in our area. Golden Tide – 2’ High 4’ Spread – Has low, spreading growth habit. Use as a foundation plant, in planting beds, or on hills or slopes. Show Off – 6’ High, 6’ Spread – Has a compact and upright growth habit. New Hampshire Gold – 6’ High 6’ – Has a drooping and mounded growth habit. Spring Glory – 8 High, 6’ Spread – Has a compact and upright growth habit. Lynwood Gold – 8’ High 10’ Spread. Has a drooping and mounded growth habit. No matter how common they are, there will always be the desire of those early yellow blooms of the Forsythia once the snow melts. They give us a feeling of excitement and anticipation that warm weather is just ahead.